Basic Stopwatch - Deluxe by Rolyn Prest at Art Yoga Studio. MPN: CTS101-5122. Hurry! Limited time offer. Offer valid only while supplies last. 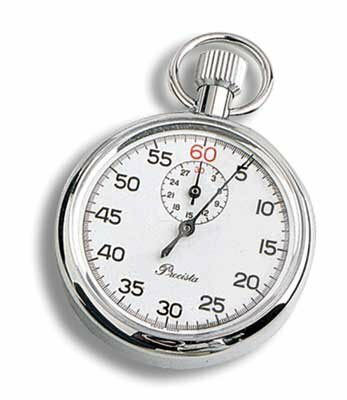 (SEE AVAILABILITY ABOVE FOR ESTIMATED DELIVERY) - Basic Stopwatch - Deluxe - Basic Stopwatch - Precision timer registers 1/5 second to 30 minutes. (SEE AVAILABILITY ABOVE FOR ESTIMATED DELIVERY) - Basic Stopwatch - Deluxe - Basic Stopwatch - Precision timer registers 1/5 second to 30 minutes. Stop, start, reset functions located at the crown. Deluxe model has timeout feature. - Rolyan products are internationally licensed & manufactured for home & clinical use. Most of their products offer a lifetime warranty. If you have any questions about this product by Rolyn Prest, contact us by completing and submitting the form below. If you are looking for a specif part number, please include it with your message.